Detect And Zero Rightmost One (DZRMO)– the title comes from an instruction in the assembly programming language of the 1970s era Western Electric Electronic Translation System (ETS), the heart of which was the Stored Program Control (SPC) No. lA – an electronic control processing system. It was the room sized, 40-bit computer that operated the 4A/ETS Crossbar Toll Switching System. DZRMO was an elegant single instruction, scanning an argument in a register for ones, from right to left and for each one detected it would call a subroutine from a list, pointed to by another register, indexed by the position number of the detected one, continuing until all ones in the register were processed. 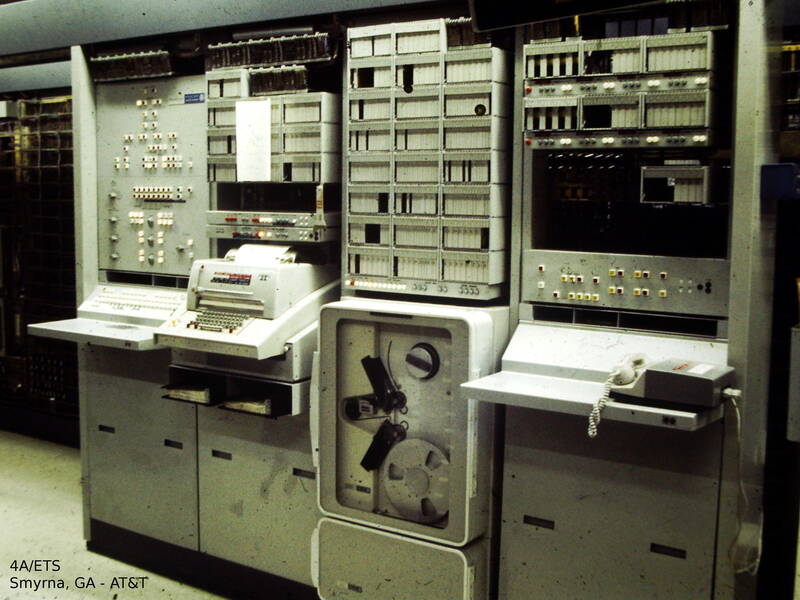 Below, is a photo of the ETS console in the Smyrna, Georgia 4A/ETS office, where I worked during the early 1970s. If you want to know about the 4A Toll switch, the article at THIS-LINK has a good synopsis. A photograph of the “console” of an #5 ETS is at THIS-LINK. It is similar in appearance to the 4A/ETS. Some 1972 photos at AT&T’s Atlanta NW (Smyrna, GA) 4A Toll Switch are below.